I'm sharing one week of (weekday) outfits from my postpartum ten-item wardrobe. It's a week of homeschooling, field trips, shooting videos, and lots of cooking and cleaning. It's been 7 weeks since I gave birth to our fourth child and this postpartum wardrobe is working so well for me. Yes, if it's not broken, don't fix it. I have the L.L. Bean dress in green too. 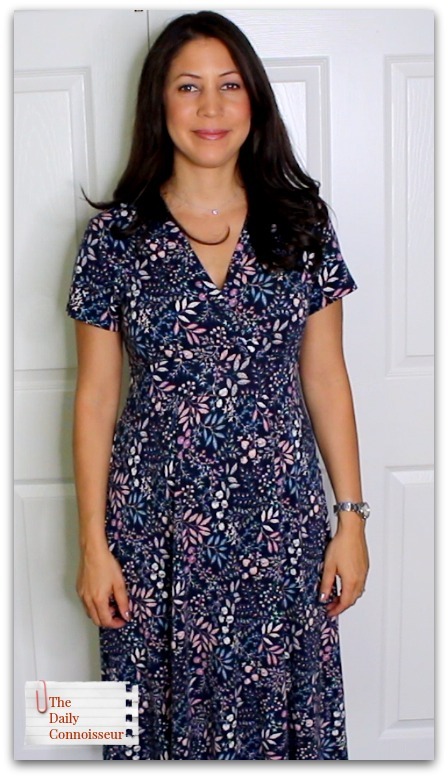 This dress is perfect for nursing! I'm wearing it with the tan cardigan from zulily and my brown riding boots from Aerosoles. 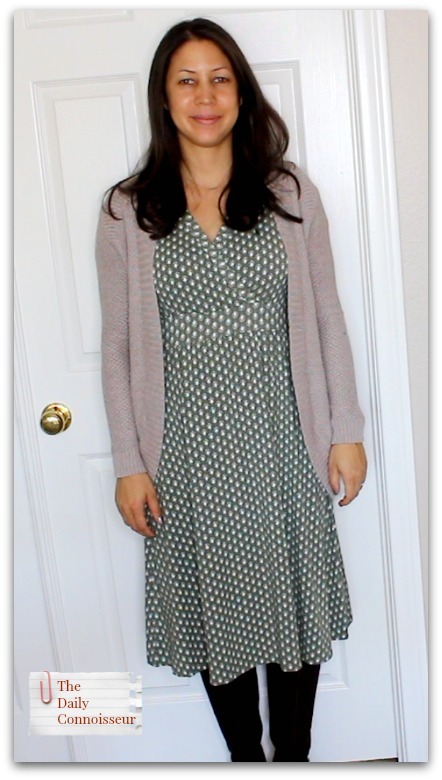 It's all about mixing nursing convenience with style and I'm wearing this deep grey nursing blouse from zulily with the black fold-over skirt and Lauren Conrad sandals. I know, it's supposed to be fall, but it's 90 degrees outside. I shared this exact outfit on Instagram back in 2015! Check out my eCourses, Create Your Own Ten-Item Wardrobe, and Chic Financial Principles for Debt-Free Living. 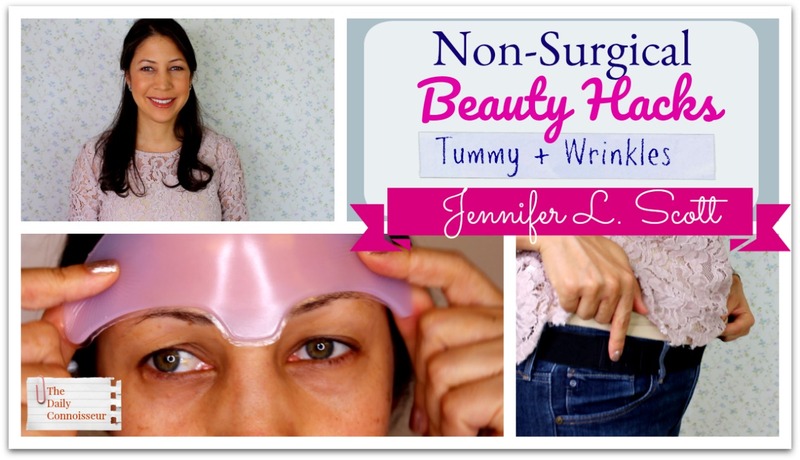 On last week's Non-Surgical Beauty Hacks video, NKE M writes, "Jennifer, you solved a problem that has been bothering me for years! I have never understood how I always got tiny holes on my tank tops and tees down by my belly button. It had never occurred to me that it was the friction from the jeans tab. Thank you for your lovely channel. I have been a follower of yours since 2012 and love your honesty and inspired living. God bless!﻿"
Thank you so much! I'm happy that I solved the mysterious hole-in-the-shirt issue for you. I wondered the same thing for years and then it dawned on me. I hope the Infinity Belt solves your problem! Thank you for your kind words. I would love to know what you think of this week's video. How is your fall ten-item wardrobe coming along? Let us know and your comment could be chosen as comment of the week on the blog. I like to be efficient and really don't like when I fall behind on projects. 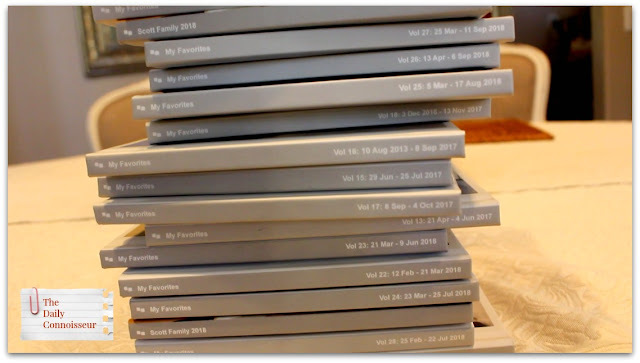 Before starting a family I was always able to keep on top of photo albums because, well, it was just my husband and me! But after having children the photos we took tripled (if not quadrupled) and I became too busy to deal with them. I used to take the pictures, order prints, buy a photo album and then take the time to insert the photos into the album. It became too much for me and I fell behind on it and found myself with boxes of unorganized family photos. Then Chatbooks entered my life. I saw an ad for Chatbooks and thought it sounded like a good idea and that it would solve my family photo conundrum. I was right! I've been a happy customer with Chatbooks for over three years now. Here's how it works. You download the Chatbooks app on your smartphone. Then take pictures like you normally would in your everyday life. Hit the "heart" on all of the photos you like and those photos are automatically added to your favorites. 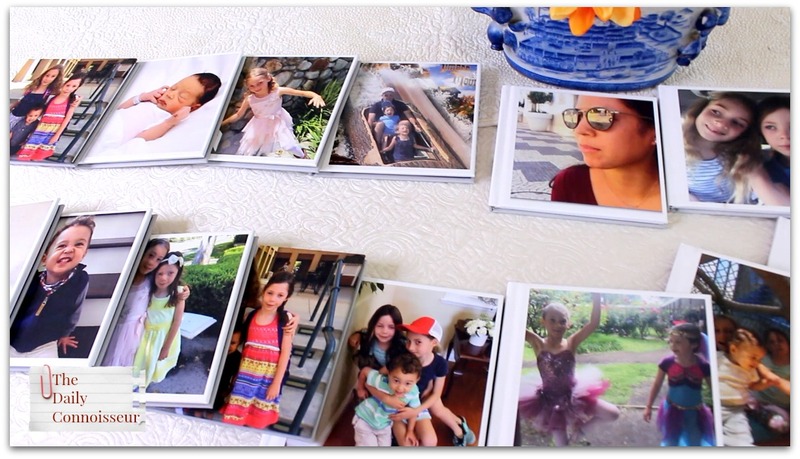 Chatbooks generate a new photo album once you have accumulated 60 new favorites. Your album ships to you for free. Albums are affordable and start at just $10. As you can see I have quite a stack of them! I love these books because they are documenting our family life and I don't have to think twice about it. I also order special chatbooks for family members as gifts. It's a great app and I was really thrilled when Chatbooks offered to sponsor today's video and offer you a promotional code. 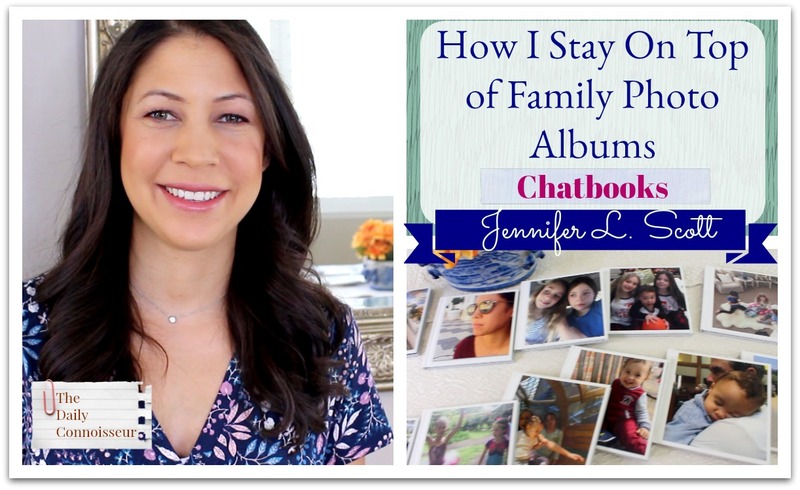 Use the code daily20 to get 20% off your Chatbooks. I hope you enjoy flipping through our family photos in today's video. Regarding this week's Clueless Gardeners video, Lori S. writes, "You two are hilarious! And I think I know what’s up the hill! I guess we’ll just have to wait to see what all the buzz is about!﻿"
Thank you for joining me for today's video. I would love to know how you organize your family photos. FTC: This post is sponsored by Chatbooks. All opinions are my own. This post does not contain affiliate links. 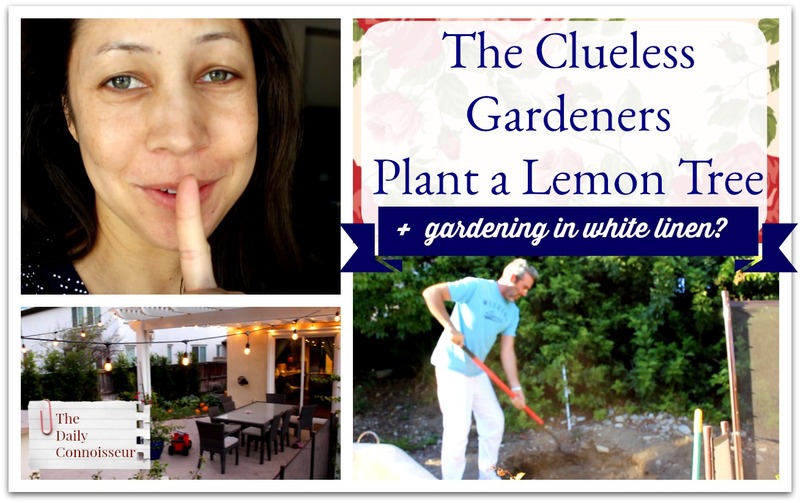 The Clueless Gardeners plant a lemon tree (or do they?) in today's bonus video. Also, what does Ben typically wear while gardening? What is coming up on The Clueless Gardeners? All of these burning questions arise in today's fun clip. 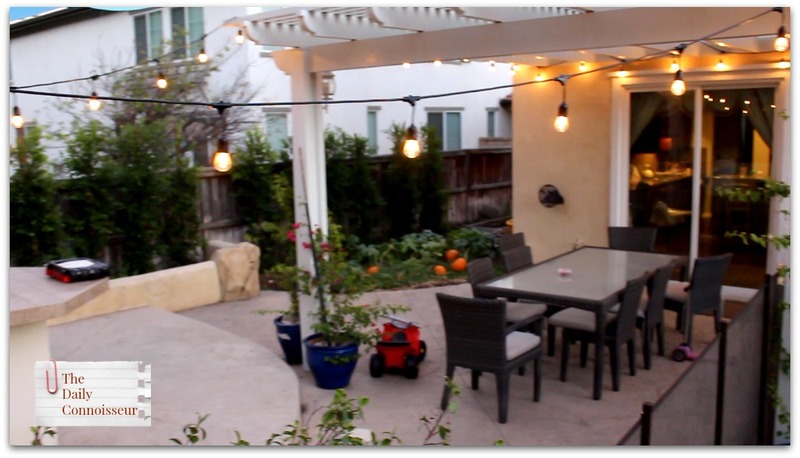 Mentioned in the video: these are our patio lights . I gave them to Ben as a Christmas present last year and we really love the nice ambiance they provide in the evening. I received a lot of fabulous advice about making a sling for the watermelon. Some even mentioned that pantyhose would work well. I was all set to create my watermelon sling (and document it for The Clueless Gardeners, of course) but I wasn't fast enough! Have a wonderful week and I'll see you on Thursday. In today's video I'm doing some investigative research on non-surgical and non-invasive beauty treatments. We are focusing on tummies and wrinkles and I'm trying out some interesting products that reportedly help solve common problems. Let's start with the tummy area. Have you ever been irritated by the top button tab on your jeans? It can often stick out, creating a bulky, unsightly look. It can also create holes in your tops. To try to fix this, I tried out a clever little invention called The Infinity Belt. It is a smoothing belt that takes care of that problem completely! 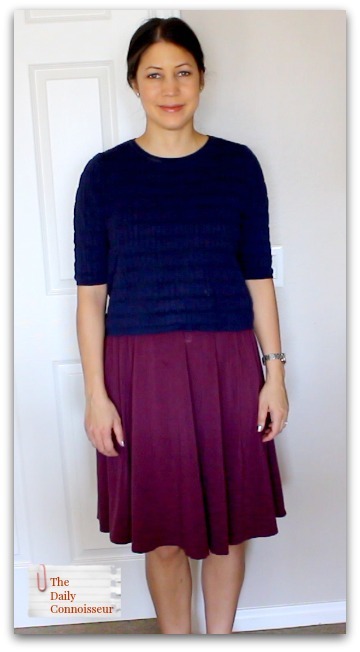 One of my favorite aspects about maternity jeans and skirts is that they have a smooth top band to accommodate the growing belly. The infinity belt works much like maternity clothes work, but instead of accommodating an expanding belly, they smooth the belly you already have. I love it! It's a neat, affordable little fashion invention. Wrinkles are not much of a concern for me. I do have them on my forehead, but they don't bother me. I think wrinkles are natural and normal. But it's always good to take care of your skin and wrinkle prevention is a part of many women's beauty routines. For women with more prominent wrinkles on their forehead, smoothing the forehead is often a desire, which is why many women turn to Botox or surgery. In my investigative work, I came across The Kami Pad. Nevermind that my husband thought I looked like a Klingon from StarTrek when I was wearing it. 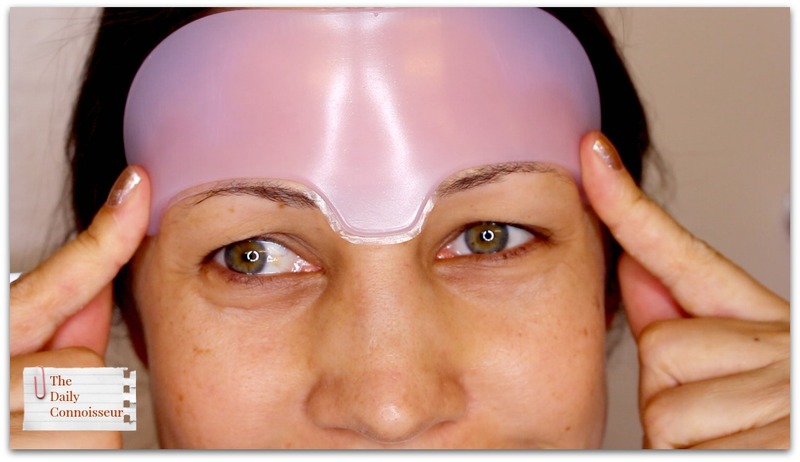 It's a neat little invention that naturally smoothes problem areas and reduces the appearance of wrinkles while naturally boosting collagen. 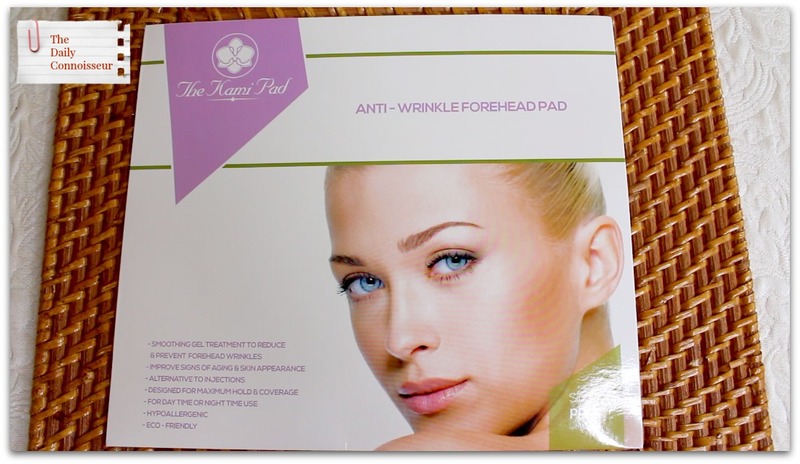 The Kami Pad was developed to reverse and prevent signs of aging. I try out The Kami Pad anti-wrinkle forehead pad, but they also have an anti-wrinkle neck pad, as well as an anti-wrinkle chest pad. I had a lot of fun trying out these clever beauty and style hacks. This video was filmed all in good fun. Please know that you are beautiful just the way you are! I wanted to investigate these products for any woman who was interested in adding them to her beauty routine or style chest. I hope you enjoy today's video. Long time reader, but first time commenting. What a wonderful cake, you know, when I was growing up, Mum would make a cake very similar to this but she called it a Tea Cake. Often it was topped with butter and cinnamon and sometimes apple and cinnamon, it was always so delicious, still warm from the oven. I think the last time I had one was just after our son was born ( 30 years ago) thanks for the reminder of how lovely simple cakes can be. Fiona from stay home instead." Fiona, I loved reading about your mother's tea cake. Topping it with apples is a marvelous idea! Thank you for sharing that memory with us. I hope you enjoyed today's video. If you would like me to do investigative work on any other beauty or style conundrums, please let me know! One of my favorite cookbooks is From Amish and Mennonite Kitchens. The simple recipes in this book are hearty and very easy to make. Today, I'm making a rustic fall coffee cake from this book for the first time. The results are delicious! 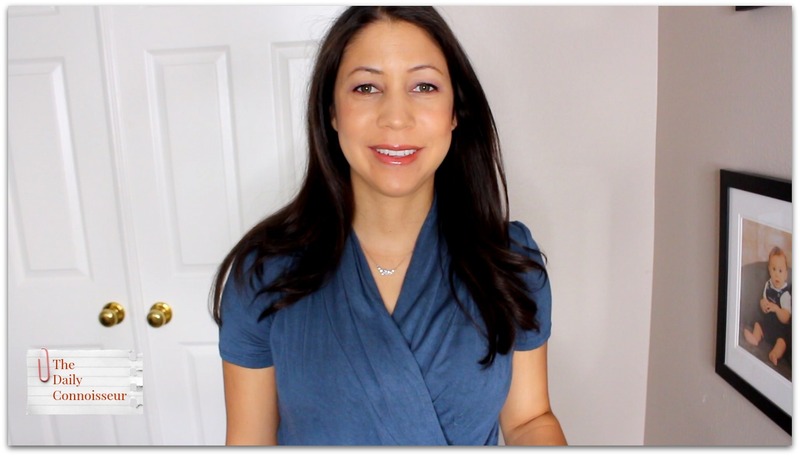 I'm submitting this video as part of Falon from Moss Family TV's Fall Food Fridays. She asked her viewers to submit a fall recipe to be a part of the playlist and this is my contribution. 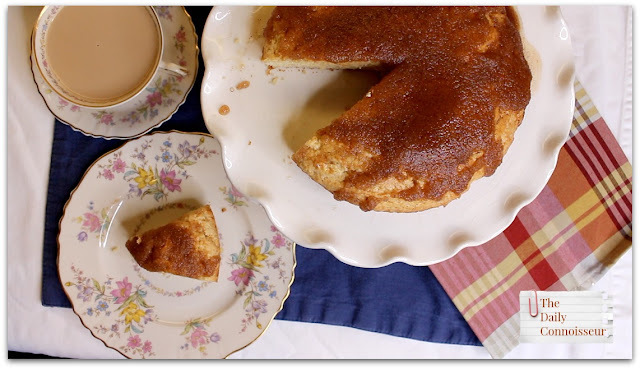 I enjoyed this cake so much, I've made it again since shooting this video for a Sunday family gathering. It was a big hit! Here is the printable and pinnable recipe. This quick sugar and cinnamon coffee cake is delicious and so easy to make. 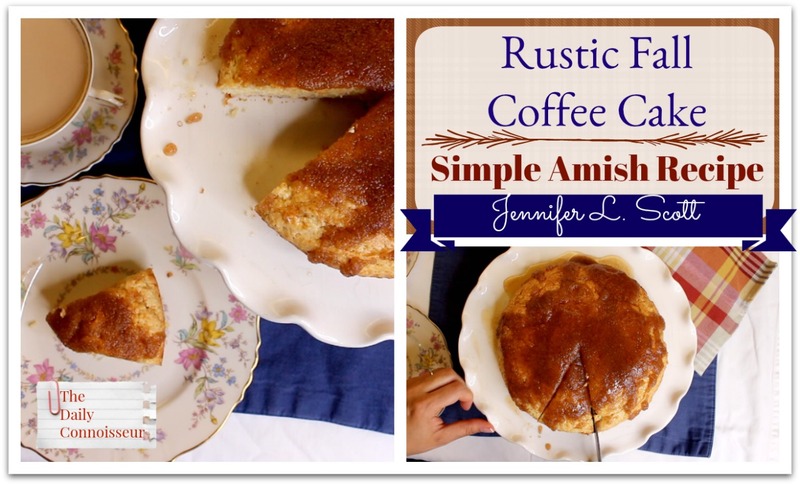 It is from the cookbook, From Amish and Mennonite Kitchens (linked below). Sift the dry ingredients together. Add the remaining ingredients. Beat together with an electric mixer on medium speed for 2 minutes. Pour batter into a an 8inch baking pan (I used a round one). Bake at 350 degrees F for 25 to 30 minutes, or until an inserted toothpick comes out clean. Remove from oven and put on the topping. Another way to do the topping is to spread the melted butter over the warm cake and then sprinkle the cinnamon sugar on top. Either way is delicious. I hope you enjoy today's video. Have a wonderful weekend and I'll see you on Monday! I hope you enjoyed Monday's debt-free video. 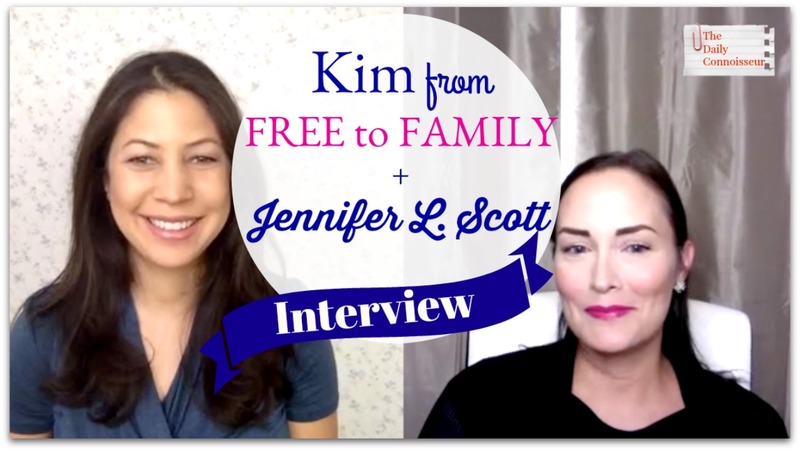 The Daily Connoisseur interview series continues today with Kim from Free to Family. Kim is so much fun to talk to. We have a lively discussion about what life is like as YouTuber, debt-free living, parenting, setting boundaries, and much, more. I hope you enjoy today's video. Please chime in in the comments section on any or all of the topics we discuss! I have another podcast interview to share with you. This time I chatted with Lauren Morley of The Author Podcast. We had a lot of fun chatting about living a chic and elegant life. 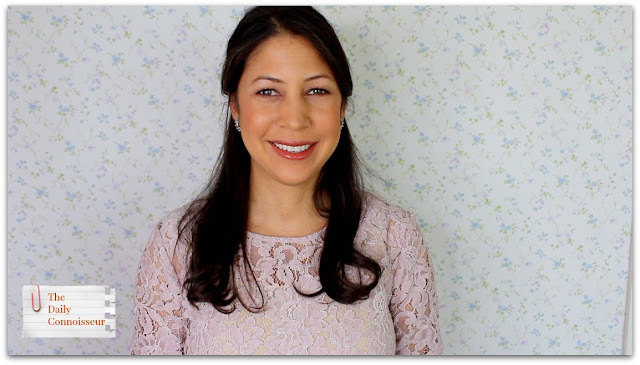 On Monday's debt-free video, Celine writes: "This is all great advice. I really can't add to it. I would, however, like to see the high schools to require a finance class to teach students how to better manage their money, and how debt works. They could learn about checkbooks, paying bills, credit cards, the true cost of taking on debt, basic income tax principles, IRAs/457s and other retirement-type savings plans, making a budget, and living within their means. I know their parents sometimes don't teach them these things, and it would be a good time to learn about it. Celine, I couldn't agree more. I wish practical topics like this were taught in high school. We plan to teach our children these principles so they don't make the same mistakes that we did. Thank you for joining me for today's video. I would love to hear your thoughts on Kim and my discussion. Your comment could be chosen as comment of the week on the blog! Today's video is a collaboration with Kim, from the Free to Family YouTube channel. Kim, is a debt-free enthusiast, just like me. We are both passionate about living well within our means. 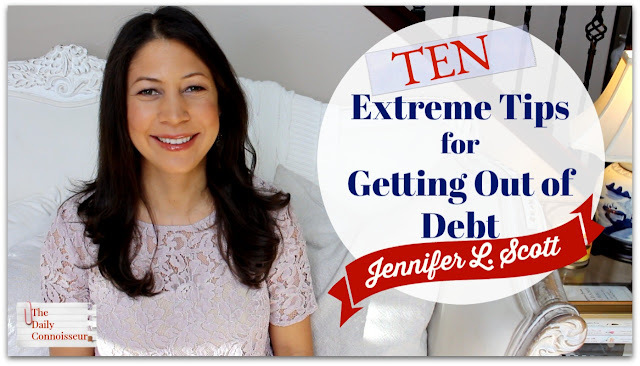 We decided to collaborate on today's video to share ten extreme tips for saving money and getting out of debt. Whether you have a lot of debt, have no debt but are interested in saving money, or have a singular goal, like paying off your mortgage, today's video will have something for you. I announced last year that our family had become debt-free, including our mortgage. We have been working toward this goal for a long time, and today's video chronicles many of the steps we took to get there. I chronicle our debt-free journey and greatly expand on this topic in my eCourse, Chic Financial Principles for Debt-Free Living. Today, I'm excited to continue the discussion on the blog and share some of my tips with you. 1. Share a vehicle Many Americans have enormous monthly car payments, whether they lease or own. Going down to one car per family (which is what the Chics did) and taking public transport instead or getting creative about when and how to use the car aides your finances tremendously. Of course, the vehicle must be affordable and within your budget. We currently share the family car and it has been no problem at all. We are doing this right now because we are saving for a financial investment we are making. Eventually, my husband would like to get an electric vehicle for his car. 2. Relocate to a more affordable area Last year we sold our West Los Angeles home and moved to the much more affordable suburbs. This allowed us to buy our home outright with no mortgage, allowing us to finally become fully debt-free. If you are able to relocate to a more affordable area, take the exciting plunge and enjoy the benefits in savings. 3. Enjoy your meals at home Relegate eating at restaurants to special occasions only and have the majority of your meals at home. Most people can agree, this one step saves a tremendous amount of money. The Chic family rarely ate at restaurants and enjoyed meals at home almost every evening. 4. Grow your own food My husband and I might be clueless gardeners, but our efforts in our totally out-of-control vegetable garden sure paid off this year. We had abundant vegetables the whole summer, which helped us keep our grocery budget in check. 5. Be an entrepreneur If you are able to work to provide an extra income stream, you can pay off debt and invest your money quicker. I like to encourage people to turn their passion into an entrepreneurial business. Sell on Etsy, provide services on Fiverr, and other websites of the like. I self-published my first book, which was an entrepreneurial endeavor in itself, and was able to pay off my student loans with my first book advance. (This story is expanded upon in my Self-Publishing Success video). 6. Rent a room in your home We have never done this, but know many people who have, and it brings a nice income in to the family. Madame Chic and her family brought in extra income by hosting foreign exchange students (me!) into their home each year. 7. Sell your belongings Once you start to clear the clutter in your home, you come across many items in your home that you no longer want. Whether it's clothing, handbags, furniture, or art, you can sell your belongings on places like eBay, ThredUP, Poshmark, or a consignment shop. Or have a good old-fashioned yard sale. 9. 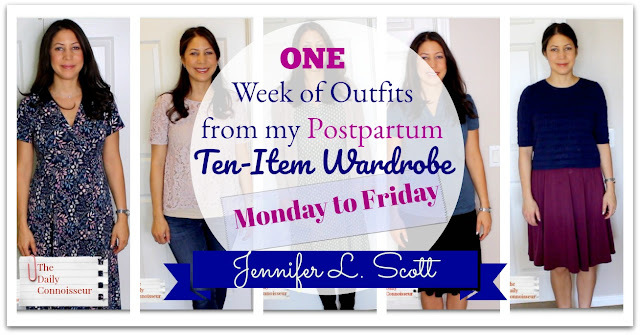 Do the Ten-Item Wardrobe (really do it!) The Ten-Item Wardrobe is so beneficial, not only to your true style, but also to your wallet. If you truly do the ten-item wardrobe, season after season you will realize how much money you are saving. You will no longer participate in mindless shopping. Everything you buy will have a purpose and be used. 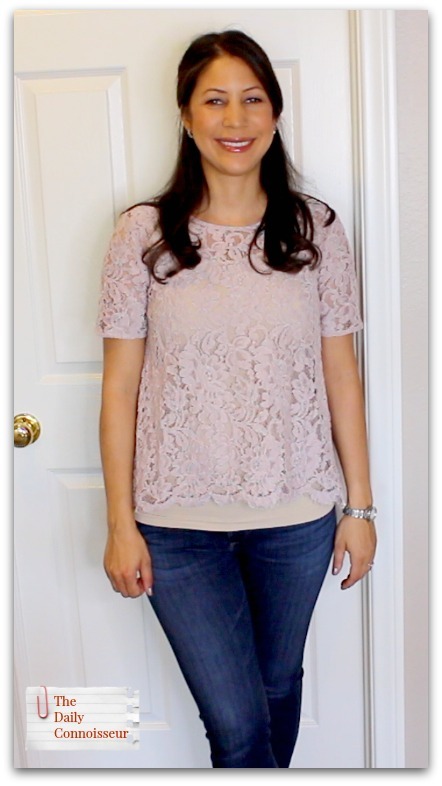 For more on the ten-item wardrobe, check out my eCourse, Create Your Own Ten-Item Wardrobe and my Madame Chic books. 10. Change your mindset Ultimately, working to get out of debt, and not only save, but invest money for your future, requires an utter mindset shift away from mindless spending. It does require major frugality, but all hope is not lost. You can still live beautifully within your means. Be sure to watch today's video for expanded thoughts on all of these topics. Regarding last week's Q&A video, Shannon on Facebook writes, "That was the best q and a ever! All the questions I wanted to know but was too shy to ask 😂 I’m Canadian and we are for sure not as reserved as British people but are not as famously open as Americans." Thank you for joining me for today's video. I would love to hear from you. Are you on a debt-free journey? Do you have any struggles in this area? Are you currently debt-free? What tips do you have for us? Let us know and your comment could be chosen as comment of the week on the blog.